I never really thought I'd say this but, we bought a new car. 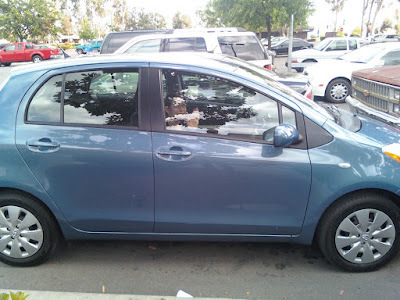 I always thought I'd pretty much buy used cars but we decided that, first of all, we need something reliable and, secondly, that we've been spending so much on car maintenance that we can actually afford payments on anew car. 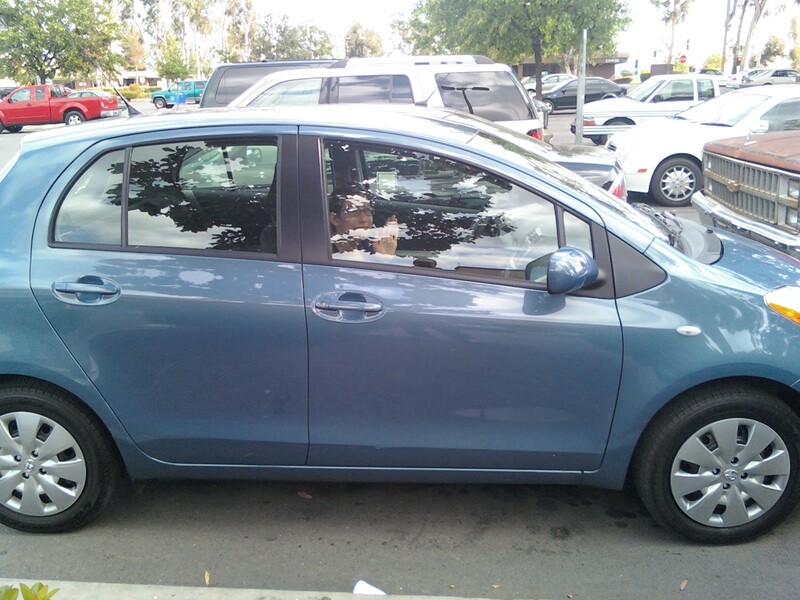 So yesterday we went to Toyota of Escondido, talked to a great guy named Rob from South Africa, and then finally bought a 2010 Yaris. We couldn't have done it without Dan Bidwell (Amanda's dad) who talked them down so far that we're sure they hated him by the end of it.